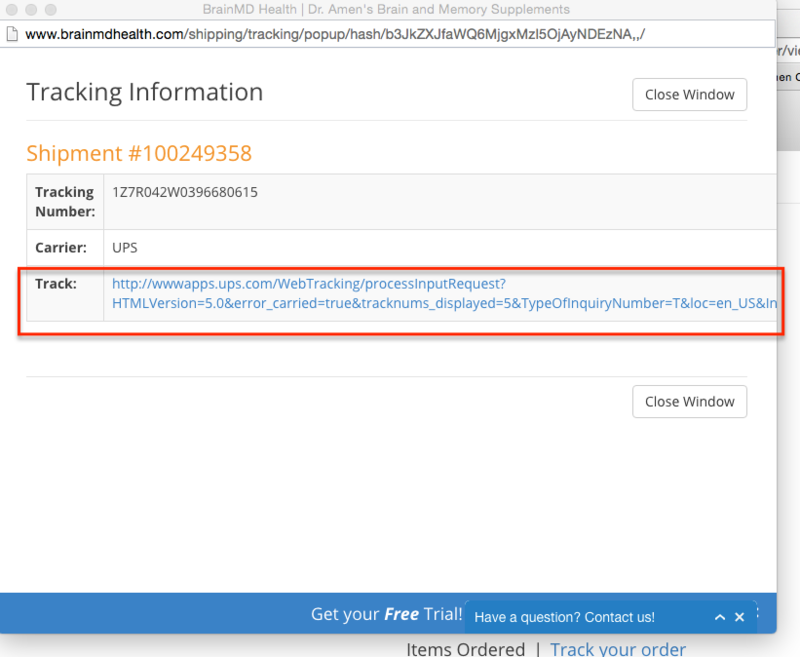 1. begin by logging in to your "Account Dashboard" by clicking the "My BrainMD" drop down menu item in the upper right hand side of your screen. Then click on the "My Account" link in the drop down menu. 2. 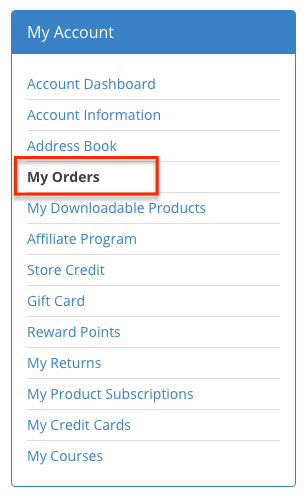 Once logged in to "My Dashboard" go the left hand navigation tabs and click on "My Orders." 3. 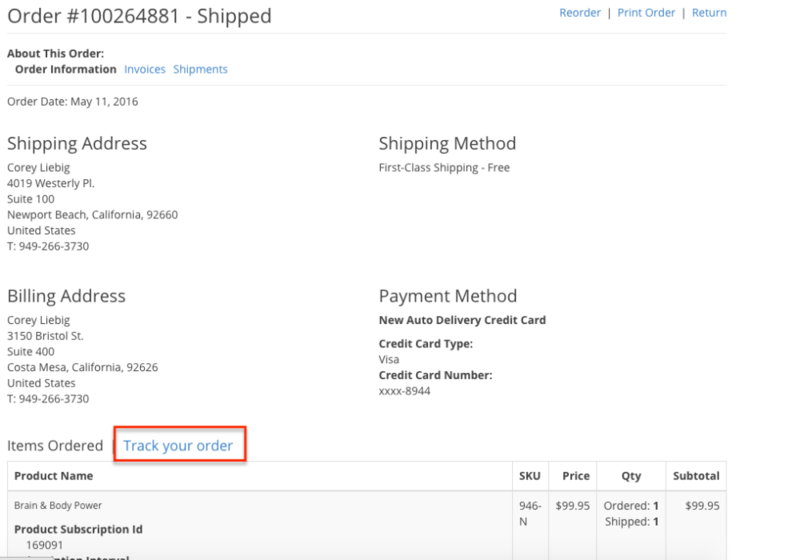 If your order has been set to " Shipped" status click on the "View Order" link. 4. 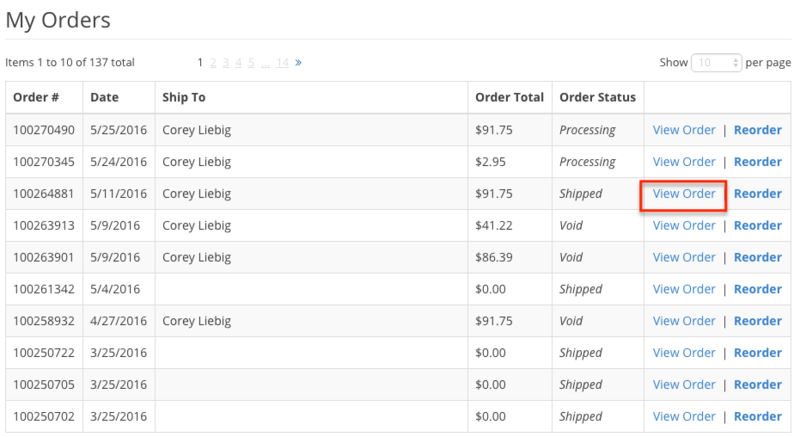 On the order screen click on the "Track your order" link in the middle of the page. 5. In the pop-up window click on the tracking link to be taken to the carrier's website to view your shipment's progress.